Love hurts. It’s a phrase we’ve all heard in love songs, media, and in discussions after a heartbreak. 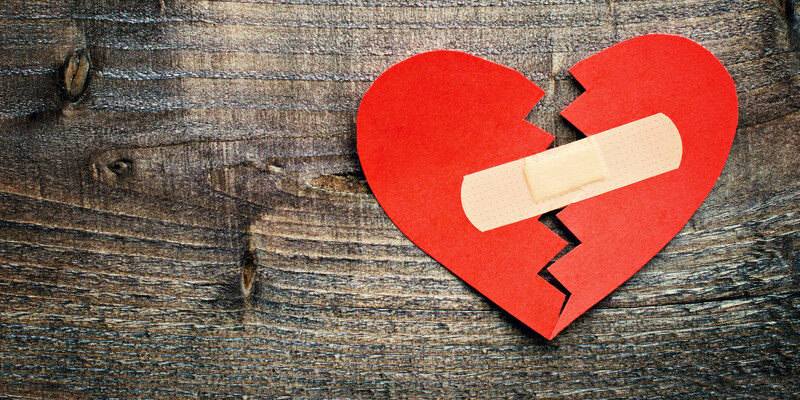 But what does heartbreak really doing to your body? Loss can affect our bodies in many ways. We reveal the real effects of heartbreak in the form of stress, sleep deprivation, depression, and even unhealthy behaviors. Let’s walk through some major symptoms of love lost. During a breakup, the stress hormones cortisol and adrenaline are released in the body. These hormones can have damaging effects from your muscles to your skin, and even your immune system A breakup can only take a minute, but the effects can last for long periods of time. The large numbers of stress hormones released can slowly affect your blood pressure and heart. Stress can heighten pain that you already have in other areas of your body. Relaxation is key. If you are going through a stressful time, try to take time out of your day to meditate, go to a yoga class, or find an activity that relaxes you. Just listening to your favorite kind of music can boost your mood and make you feel better. The high levels of stress hormones released during a breakup can keep you awake at night. For those who suffer from pain, sometimes sleep is the only escape. Having a minimal amount of sleep can cause muscles to be sore and fatigue your body. This, on top of the chronic pain, is never a good combination. This turns into a Catch-22. High levels of stress cause a lack of sleep and in turn, lack of sleep heightens stress levels and worsens pain Clear your mind before going to bed by writing down your worries on a piece of paper, and then leaving it on the table. Stress may lead to clinical depression for those who are susceptible. Your physical health may be in peril as well. Stress affects the immune system causing you to become ill after a breakup. When you have negative thoughts about yourself or the breakup, your mental and physical health become intertwined leading to sleep deprivation and sickness. A huge problem in the chronic health community is Irritable Bowel Syndrome (IBS). For those of you that suffer from this on a regular basis, it can be stress and anxiety induced. A long-term period of stress can worsen the symptoms of heartburn and IBS. Again, having a way to relax such as light exercise or a massage can be a useful way to reduce these symptoms. In addition, diets that eliminate certain types of sugars (fructose and lactose) or even diets that restrict fermentable foods that cause gas and bloating can be effective. As many of us have had our hearts broken, we all tend to go towards the same pattern of behavior: junk food and laziness. We move into a comfort zone to avoid emotional stress. We are depressed and we don’t feel like doing anything, so we just sit and eat and think about the good times we had. Replacing healthy behaviors with unhealthy ones is not the answer, and we all know it. Strive to take care of yourself by resisting fast foods and processed foods like chocolate, and sweet desserts. Instead, chose some nuts, and berries as snacks. Nuts are high in protein and berries are anti-inflammatory. Find stress reducing activities..For example, physical activity is an incredible form of stress relief that also has many healthful benefits. The big lesson learned here is that stress is often a major part of any breakup, and it can affect your mind and body. Focus on relaxing activities while steering away from the temptation to eat processed, fast, and sweetened foods. Do something nice for yourself and look forward to the future. Posted in Blog, Holistic, Self Management, Stress, Uncategorized.